It is said that 40 percent of people experience vertigo at some point in life. Vertigo occurs when the posterior semicircular canal of the inner ear is damaged; it can result from a head or neck injury, a virus, pressure from inner ear fluid, or migraines, among other causes. 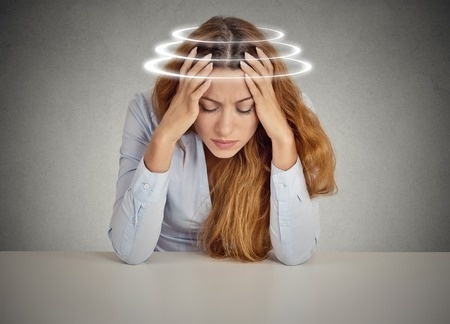 Symptoms of vertigo include impaired balance, dizziness, nausea, and vomiting. While it is common, it is usually not serious. 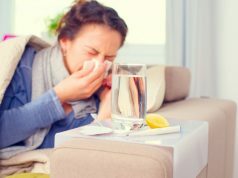 If the condition is recurrent or severe, however, it may be a sign of a more acute problem. Vertigo is sometimes mistakenly believed to be associated with a fear of heights, but instead, it is a feeling that everything around you is moving, that the world is spinning. That can be an illusion, which is called subjective vertigo, or it can be a reaction to real events, called objective vertigo. Vertigo is a reaction to something, and not a disease in itself. It is natural to panic if you experience vertigo, but certain symptoms do require particular attention. If you experience double vision, weakness, or have difficulty speaking, get immediate attention. The problem may be a brain event such as a stroke, rather than simple vertigo. A CT-scan can identify a brain injury, and a blood test may also be ordered to see if the problem is related to blood sugar levels. There are a number of natural remedies recommended for vertigo. A popular natural cure is to soak a handful of almonds, pumpkin seeds, and three tablespoons of wheat overnight. In the morning, grind them up and put them in a pan in which you are melting butter with half a teaspoon of cloves and half a cup of milk. Let the mixture boil and store it in a cool place, then drink the mixture every day to reduce symptoms of vertigo. It is believed diet is important is avoiding a recurrence of vertigo. Consume a diet rich in protein and vitamins, and stay away from extra salt, fried food, chocolate, alcohol and caffeine. Try adding lemon peel to your salad. 1. Ginkgo Biloba- This Chinese herb boosts blood to the brain, reducing symptoms of vertigo. 2. Ginger- Taken during a vertigo attack, ginger can reduce symptoms within minutes. 3. Hydration – Drink at least eight glasses of water daily. For a more effective remedy, soak a tablespoon of coriander seeds in a glass of water overnight. The next day, strain and drink. A mixture of black pepper, lemon juice and salt water may also be useful. 4. Avoid Jerky Movements and head positions such as bending your neck back while looking up. 5. Focus – If you begin to experience an attack, focus on a stationary object in your environment. this sends a visual cue to the brain to balance appropriately. 6. Therapeutic disciplines – Chiropractic adjustments, breathing exercise and meditation have all proven useful in treating vertigo. 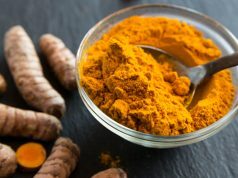 Previous articleThe Many Healing Applications of "Poor Man's Ginseng"
Next articleTry This Sweet, Tasty "Cholesterol Cure"
I had a serious problem with Vertigo for over 10 years. It became apparent after time that something was setting it off. I kept careful track of what I ate and drank for a months and months but nothing seemed to add up. Eventually I figured out that foods/drinks containing MSG and ASPERTAME were some of the reasons that set off an episode. So if I had a diet coke and two slices of pizza I was going to be so incapacitated I would have to crawl to the bathroom, spend at least 1/2 hour vomiting and diarrhea with the sweats so bad I had puddles under me on the bath floor. When I finally could leave the bathroom I got in bed and slept for 16 hours. This was typical for my condition if I tried to walk I would stagger like a drunk. Prior to this I have been through ALL the recommended medical experts many times over, had ABRs, MRIs, Cat scans, Physical therapy, and was told I have Meniere’s disease which is a catch all phrase for all sorts of inner ear disturbances. None of them could solve my problem. At times if I stuck my little finger in my ear to scratch it, my vision would jiggle back, and forth with that action. Wind buffeting the side of the car and a partial open window would produce the same thing. Years later still having to deal with the same condition, and being on a strict diet the problem was solved by my GP. I had an upper respiratory infection and he treated me with Azithromycin. Ten days later my lungs and the vertigo were better. Purely by accident but very welcome because the fear of those attacks was very strong. After reflection I remembered I had had a virus and an infection in the throat for which I was given an antibiotic but I felt better 5 days later and stopped taking the med. That somehow was related to the virus which took up residence in my inner ear. Hope this helps anyone so they do not have to go through all the tests and years of suffering.